When some people passionately tell lies, they hope the details will work out on their own because a repeatedly told lie gradually sounds true, so much so that people do not doubt its veracity. When we are engulfed by clouds of lies and deceit, we see a myriad of illusions: our wishes being fulfilled, our tasks being accomplished, and we think we are seeing fervent activities going on. But at the same time, we feel everything is still in its place, nothing has moved. Maybe it’s our gullible nature that prevent us from identifying lies from truth, but we are culpable. Egyptian culture has popularized what is known as “white lies”, it is a supposedly harmless lie. For example, when your host insists that you eat something, you claim you are full though your belly is making unmistakable growls of hunger; when you reject help in carrying a load though it looks like the load is going to crush you down. White lies are common in many cultures; I am equating it to the Tigrinya “Qal Alem”, and until an expert challenges my translation, it means, the “World’s word!” For now let’s settle for a palatable meaning: a commonly known and accepted excuse. In the Muslim culture, many would-be Abbat Nebsi are denied that opportunity because the frugal Muslims do not have a clergy that their community sustains. But they do not allow the Orthodox to outdo them in that department—the vacuum was filled by swindlers who pose as saints with spiritual magical powers. Some of them claim descent from the prophet’s family line and other ancient pious notables. Ironically, though both are PFDJ’s competitors in the swindling business, they haven’t learned the PFDJ’s tricks in calculating how much should be extracted from the innocent believers, the equivalent of 2% of their income, for example! Watching middle aged women carrying framed pictures of the PFDJ boss, and wrapped in the PFDJ flag of so many colors, one is content the legacy of the swindling business is well maintained albeit with a minor reformation. 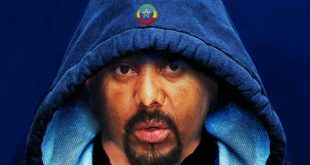 The PFDJ has inherited the role of the swindler among the Eritrean “religious leaders.” And some people might be wondering: what are cults capable of doing! So, what are cults capable of doing? A few days earlier, ISIS ordered Christians in Mosul to either convert to Islam, pay poll tax or face the sword. One of the ancient Christian communities of the world was displaced by a cult that thinks it is the sole embassy of the Creator. Yet, a few days earlier, they had ransacked the Christian cemetery in the city and demolished the tombstones. I chuckled in disgust watching them chisel away a huge concrete cross at the entrance of the cemetery. So, such are the things that cults are capable of doing. The ISIS cult and its sister cults do not want to be reminded of death, they prefer to see it happening live. 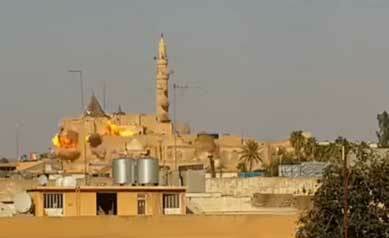 After demolishing the mosque in Mosul, thye demolished several other shrines, including a major Sufi shrine in Kerkuk. Similarly, when the Ukhwan of present day Saudi Arabia took control of Medina, they razed the Prophet Mohammed’s grave to the ground; today no one knows the spot of his grave. They also destroyed the palm tree gardens belonging to the Shia of Medina who have since disappeared. In 2001, the Taliban blew up ancient statues of Buddha in the Bamiyan Valley. AlShabab of Somalia did the same—they demolished every ancient shrine on they found on their path. Now, does anyone have a doubt why AlShabab’s action invited an Ethiopian invasion of Somalia? 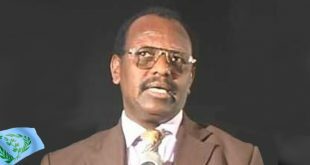 Ironically, cults of destruction do not need religious ties to bond together—guess what value system the PFDJ and AlShabab share? Each can claim a certain value system, but It’s certainly not religious values or human value. It’s neither revolutionary nor communist values. They share the value of disrupting societies, the destruction of the people’s cultural heritage, their traditions, and their history! That is why I think the Arab, Muslim, African countries, including Israel and Eritrea, need a revolution. They are all sick and countries ruled by corrupt inhuman regimes. These countries need the George Washington type, the Che Guevara, the Lenin, and the Simon Bolivar type of revolutions in one. A single revolution is not enough. The systems in these countries need to be weeded out. All the archaic systems need to be demolished to start the process of nation building anew. 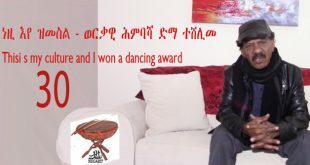 Wedi Tekhlu, an Eritrean traditional singer is known for his song, “tekhormikha motye, asafiHka motye, nAnay nmeda nHade Ametye! Death will get you whether you are sitting coiled or laying down relaxed, let’s go to the battleground for a year instead! What started in Tahrir Square is not finished yet, and someday it will erupt again all over the place. It has to. Humanity requires it. Some systems are too damaged and too corrupt to be reformed—just like a dented bumper of a car, replacing it with a new one is cheaper than taking it to a panel-beater for repair. That is why I say the Eritrean regime can’t be fixed by a patti-lamera, not even by new parts from a genuine spare parts shop! When I was in high school, Gunay* was an odd classmate. He revered the Comandis so much that when he talked about them one would think he was talking about the mythical Hercules or Machiste, the movie character ! In an era of burning patriotism, we spent most of our time talking about the struggle and continuously ridiculing the Tor Serawit and Commandis. Not Gunay. One day, in his usual revering way, Gunay narrated the events of a battle between Jebha combatants (whim he called Shifta) and the “brave Commandis.” The story was about a Commadis soldier named Trfu who narrated it to him, personally it seemed: “The battle became fierce, they sprayed their Uzis and killed many Jebha fighters. At about noon, Trfu was wounded and retreated to a cave where a Jebha combatant followed him. By then, Trfu had lost a lot of blood and felt weak, yet he bravely looked the Jebha combatant in the eye, with disdain. The Jebha combatant pointed his gun at Trfu. At that moment, another Jebha combatant stormed into the cave and pulled the trigger and shot Trfu who struggled to pull his trigger again, but immediately he died!” etti shifta Qata ksHbn a’ne kmewttn Hade! In his zeal to narrate a heroic story, Gunay was carried away and messed up the details of the story: the supposedly dead Trfu narrated the story to Gunay! Another White Lie, But though he thought the details will work out on their own, they didn’t. Gunay, so immersed in his fairytale, didn’t notice his story made no sense. He was sold on the idea of the invincible Comandis that he had no use for logic or rational. Of course, if you are a true believer, a dead person lying alone in a cave somewhere, narrating to you how he died makes perfect sense. At least it did to Gunay! Does this kind of narration ring a bell? I hope it does. It is the type of story the Gedli defamers tell passionately. In some magical way they travel back in time and look at the events of the struggle era, then return to the present, and tell us what really happened with a bird’s eye detail. Why not, they can communicate with the dead of the Gedli era who narrate to them how everything happened and how it played out. Equipped by what seems like telepathic powers, they narrate events, argue about facts trying to disprove firsthand narration of experiences, and from their ivory towers, they try to debrief the tens of thousands of veterans, that what they witnessed, and what they went through, was actually an illusion: here, let me tell you what you really went through, what it really was. Your motives were such and such, take it from me, I made a time travel. No, you were not struggling for the liberation of Eritrea but to install the corrupt regime, take it from me, you just don’t remember what you were doing carrying a gun, dying and killing haphazardly. I know, your colleagues told me everything, they died in vain. Conveniently they know everything that went during the Gedli, and within it, just like Gunay talked to the dead soldier. Strangely, they are experts on what others experienced! The Gunays have allies who have devised a method to help lower Eritrea’s life expectancy: all Gedli generation should be taken to Sahel, which will be converted into a zoo. If the zoo is filled up, they might consider killing anyone above forty. So, those who were born in 1964, write your Will, your will face a firing squad that will violate your breathing rights. Next year, those born in 1965, do the same. Your crime? First to hep lower Eritrea’s life expectancy, which is high at the moment. Second, because you are wimps for sacrificing your lives for a noble cause: to free and liberate Eritrea and its people. Eritrea cannot handle anyone above forty. Was there a need for 1961 revolution anyway that they started anyway? If there was one, then why all the refugees in Europe and North Africa in 2014? It sounds logical. The old refugees who were chased by the Ethiopian airplanes to escape the massacres of the time, now languishing in Sudanese refugee camps, do not count. They are never in the equation. It gets worse; some refugees are attempting to change the strategy of resistance: make it a struggle that focuses only on current events, forgetting the root causes that brought us all the horrors of today. I smell it and I hope others are not closing their nose to avoid the stench. I believe our struggle is about stopping the flow of refugees from Eritrea and the repatriation of those who wish to return to their country. It is not the ‘The Democratic Eritrean Refugee Accepting and Resettlement Organization’, even if that sounds a good name for a new “democratic” organization. Imagine an additional organization with the abbreviation, DRARO! Eritreans have been swarming the Zionist state for the last few years; around fifty thousand Eritrean refugees in less than a decade! And the different orientation of Eritreans is to blame—some would never consider escaping to Israel to begin with. Why would one consider an asylum in a country that has chased out the original inhabitants of the land? Over two million Palestinians are denied the right to return to their country, which is now taken over by settlers from Poland, Russia, Ukraine and many other places. Would those settlers, who are displacing original inhabitants to make room for themselves, accept non-Jew refugees, black at that? It’s well known fact that Israel is where the ghost of the Jim Crow Laws are prevalent. It was in the middle of thinking about these issues that I learned the sad news about the death of Memhir Tsehaie who was my PE teacher when I was in sixth grade. I didn’t hear from him for along time until a few years ago I discovered he was living in Holland and I used to ask about his health every now and then until he died recently. I don’t know how Memhir Tsehaie’s political position developed over the years, but when he was my teacher, he was an embodiment of national unity, a patriot to the bone. His formula for national unity was not theoretical, but one based on respect and eliminating mistrust by taming primordial loyalties, imposed with military attitude. Coming from a religiously segregated educational system, sixth grade was the first time Muslims and Christian were allowed to sit in the same class where I grew up in Keren. Memhir Tsehaie forced us to have mixed friends in what seemed a military order. We were not allowed to stand with a coreligionist in the same line, it had to be mixed, a Christian and Muslim, all the class. And he ordered to invite each other to our homes, and offer food. The next time we stoodd in line facing him, he asked if we carried his orders. Like a no-nonsense general, he stood there and gave us lessons on unity, co-existence and friendship. I have detailed the story of Memhir Tsehaie and what I learned from him in my book, “Of Kings and Bandits” Memhir Tsehaie’s influence on my generation and his role in shaping our characters is immense. May he rest in peace. Finally, for a confused person who has nothing to feel proud of and who doesn’t appreciate honor, detesting Gedli is a natural reaction. Blaming Gedli (and its generation) for all the ills befalling Eritrea’ is a lie they repeatedly tell themselves. 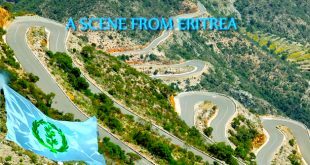 But for an honest person, the Gedli generation that is wreaking havoc in Eritrea is a tiny fraction of those who slaved during the struggle era, paid dearly, and accomplished the task of independence. Sadly, a bunch of a few dozen corrupt Gedli generation rascals usurped the power of Eritreans—take note, they accomplished that with the helping, aiding and abetting of non-Gedli elements, some of whom have now become full time Gedli defamers! Yet, they heap their insult on the Gedli generation that was and is at the forefront of the struggle against the PFDJ since it launched its open betrayal project in 1991. Tens of thousands of people went through Gedli. Tens of thousands more gave their lives for the ideals of freedom and liberty—why would anyone in his right mind define the entire Gedli generations by the few rascals who have usurped power? I wish they disengage from defaming Gedli and its pristine ideals for which Eritreans sacrificed as a people and lend a hand instead of trying to demolish our history, just like ISIS and its sister cults are doing! On a second though, I think they are wounded weaklings who are passing their narration from inside a dark cave telepathically to anyone who would listen. They all resemble Gunay to me.